THUNDERBIRDS Are Go! Again!! | Warped Factor - Words in the Key of Geek. 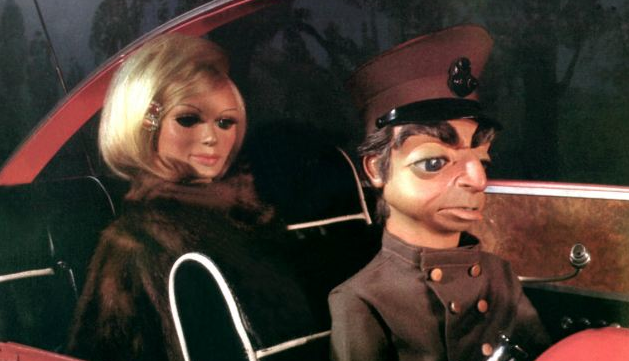 Gerry Anderson was always frustrated by the fact that his huge success and association with puppets hindered his progress to develop more adult themed entertainment. So although he did dip a toe in the water with UFO and Space 1999, he will always be synonymous with earlier ventures such Fireball XL5, Stingray, Joe 90, Captain Scarlet and of course Thunderbirds. The latter is subject of a new hi-tech upgrade which is due to arrive on CITV some time this Spring. I must admit to being quite excited by the prospect of seeing the retracting swimming pools again, those floppy runway palm trees and some new adventures for the goody two shoes Tracy boys. 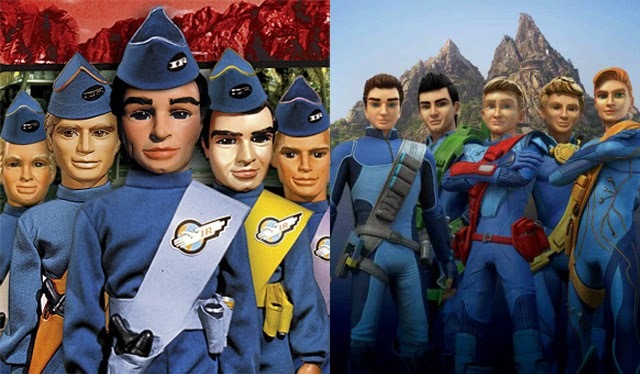 Thunderbirds was a pioneering series giving children the opportunity to experience adult style drama whilst promoting heroics, humanity and selflessness on an epic scale. Long before screaming Bob Geldof pricked the conscience of the masses about the plight of human kind, Jeff Tracy and his family were digging people of all races, creeds and colors out of holes, whilst dressed like futuristic flight attendants. Every week they would be winching people to safety, dusting them down and reminding them of the dangers of their reckless behaviour. Not for fame, fortune or adulation, but simply because they could (and mainly because it was in the script). Attempting to take off the rose coloured spectacles and trying to remain impartial is almost impossible where Thunderbirds is concerned. Nostalgia and genuine affection are two of the shows endearing qualities. The strings, the awkward moving characters, the mouths that resembled the action of a drinks cabinet door opening and closing, the disproportionate bodies, and the curious Hood (who found his way into the odd episode with no legitimate explanation) made the whole thing more intriguing. Then there was the system by which each pilot got on board their craft. A series of hydraulic chairs, door flaps and chutes which facilitates their arrival in their allotted craft without a scuff, scrape or well deserved nosebleed. 1960s Batman must have looked at his Fireman's Pole and been well jealous. You could almost certainly guarantee that Brains would discuss the dangers of the situation and subsequent rescue attempt. Lady Penelope would speak into the lid of her silver teapot (a sign of eccentric madness, surely?). Parker, the Cockney butler and ex-safe cracker would get out the Rolls Royce, and either Virgil or Scott would be in the thick of the action at the expense of Alan, John and Gordon. When people state this is a television classic, it's not an irrational overstatement. Quite what it was that made this series standout is hard to define, it was not so much one solitary thing but more a combination of parts that added to its sum total. Thunderbirds was important for a number of reasons. It was a massive gamble by Lord Grade's ATV, partly because it was so different to anything around at the time. 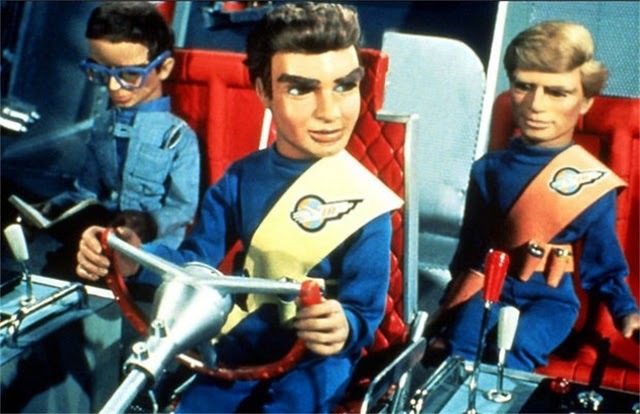 Thunderbirds was never patronising, it was screened in primetime and was aimed firmly at a united family audience, allowing parents and children to watch and enjoy something together. Barry Gray's soundtrack was an added bonus, cranking up the tension and drama whilst also providing a theme tune that would become part of a Military Bands playlist for many years to come. Incidentally, it's worth noting at this point amid all this gleeful nostalgia that the actors providing the voices were told at the time that it might damage their careers - how times have changed? In terms of voice over work in the current climate, everyone and their Nan is clambering to be involved in projects such as this, including Hollywood's finest, without the fear of what it may do to their precious profiles. 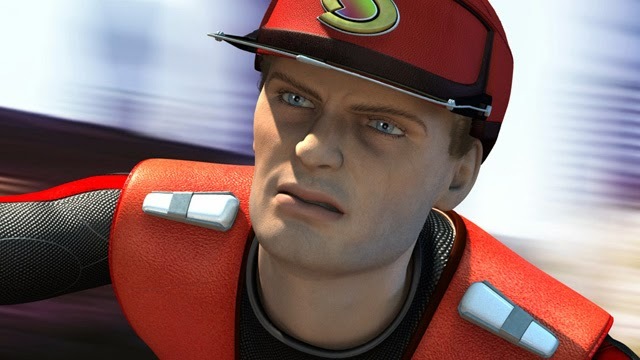 Anderson would go on to make many other successful shows, but none of them have had the longevity, or summon up such fondness amongst the masses quite like Thunderbirds does. So it was little surprise when Hollywood cam knocking, and 2003 saw the release of Thunderbirds: The Movie. Unfortunately, this tragic live action film was so abysmal that it prompted Anderson to comment that it was "the biggest load of crap I have ever seen in my life”. He was spot on too, it must have really irked him that it failed on just about every level. But now, in 2015, we await Thunderbirds return once again, hoping that the best of the classic series is preserved in its updated form, praying that it doesn't stray too far from the glorious original, and concerned that the hi-tech enhancement doesn't stifle the magic of a bygone era. On the evidence of what I've seen so far the Thunderbirds themselves have undergone some modifications, those Tracy boys are almost unrecognisable in their new snazzy outfits. I always feel a little sceptical at this point when the expectation levels are at the max because it's such a risky business to take on something so iconic and update it for the modern audience without losing the core elements that made it so special. Fortunately we've already seen another of Anderson's series updated quite successfully in the for of Gerry Anderson's New Captain Scarlet. This series was superb, but never really seemed to catch on. It's worth tracking down if you're a casual fan of this type of thing who has not experienced the show yet. Amongst those providing their vocal talents for the new series of Thunderbirds are Kayvan Novak (Fonejacker), Thomas Brodie-Sangster (Game of Thrones ), Rosamund Pike as the voice of Lady Penelope, and also in a move of genius sure to please every fan of the classic series, David Graham will be reprising his role of Parker. "One of the biggest challenges of a remake is finding the right balance between refreshing the series for a new audience of children, and keeping the DNA of the original that made it special in the first place. And I really hope that we’ve done that well." It's no co-incidence that the show will premiere during what is the 50th anniversary year for Thunderbirds, no doubt there will be a few sweaty palms on the arms of nervous executives when it hits the screens, but it bodes well that they have been working closely with Pukeko Pictures based in New Zealand and The Lord of the Rings special effects wizards at the Weta Workshop. It's also quite reassuring to hear that ITV are so happy with what has been produced that they have already ordered a second season for 2016/17. Let's hope that Thunderbirds Are Go! excites an entirely new generation, that of my sons and nephews who have never heard of the original Supermarionation series. Whatever adventures await the updated Tracy brothers it's probably a safe bet that John will continue to be stranded on Thunderbird 5 looking enviously on as Scott and Virgil do all the exciting stuff, whilst Alan and Gordon top up their tans by the pool! Some things never change, even in remakes.